Conventional TIG/GTAW is a melt-in process. Surface tension causes the molten metal to circulate, moving the heat first to the sides and then flowing to the bottom of the weld pool, before returning to top centre of the pool. This results in a broad, shallow and typically turbulent weld pool. MIG/GMAW is a welding process in which an electric arc forms between a consumable wire electrode and the joint, which heats the workpiece metals, causing them to melt and join. GMAW is a low penetration process which requires extensive edge preparation and consumption of filler material. Submerged Arc Welding is a process which requires a continuously fed, consumable, solid or tubular (metal cored) electrode. The molten weld is protected from atmospheric contamination by being ‘submerged’ under a blanket of granular flux consisting typically of lime, silica, manganese oxide, calcium fluoride and other compounds. Laser Beam Welding is a welding technique used to join a work piece through the use of a powerful laser. The beam provides a highly concentrated heat source, allowing for narrow, deep welds and high welding rates. Hybrid Laser Beam Welding is a more complex variant of Laser Beam Welding and combines a laser with an additional arc welding method such as MIG/GMAW. Such combinations improve the tolerance to variations in joint fit-up and allow improved weld finishes. Electron Beam Welding (EBW) is a fusion welding process in which a beam of high-velocity electrons is applied to the materials being joined. The workpieces melt and join together as the energy of the electrons is transformed into heat upon impact. EBW is performed in a vacuum, has high capital and operating costs, and is generally used only in highly specialised applications. 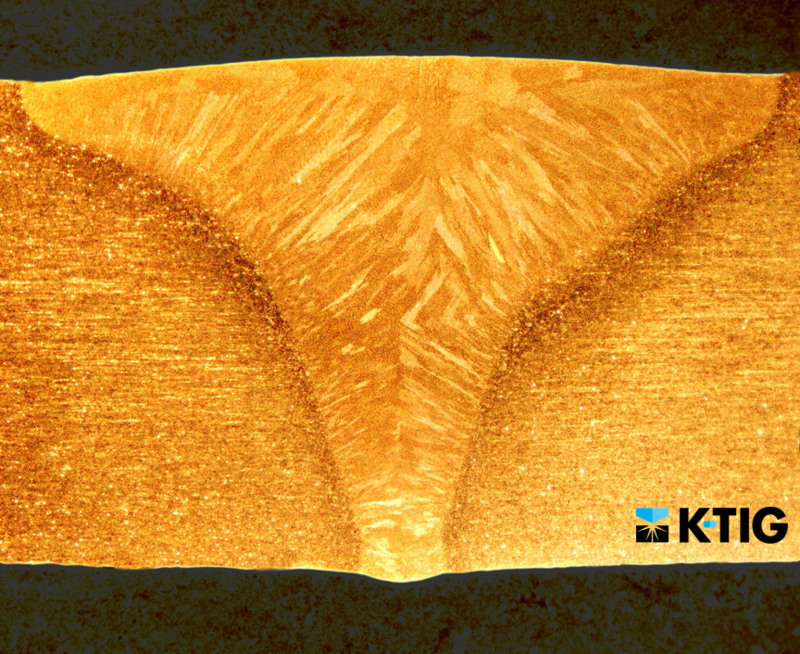 The Marcographic and Mircographic report gives you deep insight into the K-TIG keyhole. The report details a number of materials, images and provides individual commentary.